Sea, Sand & Sky: The rain can't stop us! The rain can't stop us! This week has been a good week so far, but the weather has been crazy. 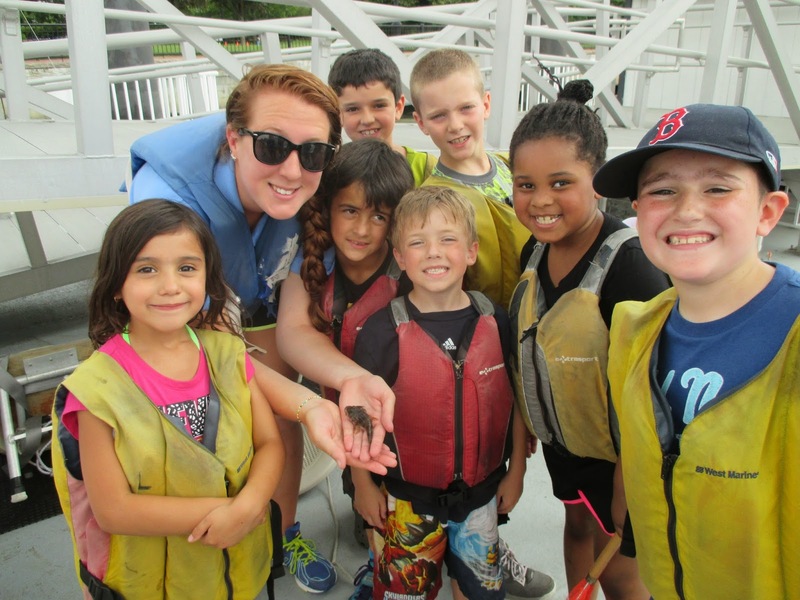 We had a whole new group of kids at Piers Park and they were so excited to fish. We caught our first fish of the summer at Piers on Monday and the kids were going wild and were exited to see the sea robin. Today, the kids would not let the rain stop them from fishing. Before the rain started the kids came to the park and we hurried our way to the dock to get a good fishing time in. After 30 minutes the rain came down hard and we heard thunder. After the rain slowed, we went out to the dock to fish with the kids. We only caught crabs but the kids were still happy to be out there. After a while we ran out of bait so the kids and some of the JPAs made two teams and we had a contest who could cast out their line the farthest and the kids really enjoyed it.